The 3 newly employed trainees of PBSNS, were well prepared when opportunity came knocking at their doors. After undergoing years of training at the Chedang Café, Hidraz Shiraz, Mohammad Faizael and Chai Siew Mei had become veterans as café assistants. They were accustomed to serving food and drinks, and cleaning up after customers at the café. 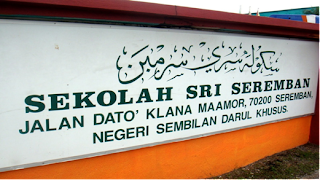 Therefore, when asked to work at the Sekolah Sri Seremban as canteen helpers, they were more than excited to start their new jobs as soon as possible. Working as canteen helpers would mean serving a bigger crowd, and handling more food and drinks, they were eager to take on this challenge. 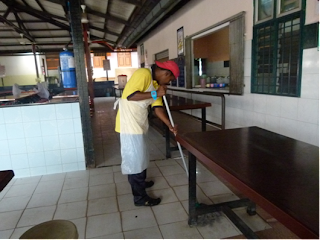 Hidraz Shiraz and Mohammad Faizael started working at the school canteen on the 1st March 2012. 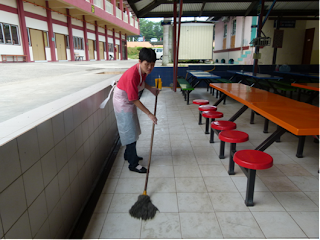 Chai Siew Mei, followed shortly after on the 9th of April. 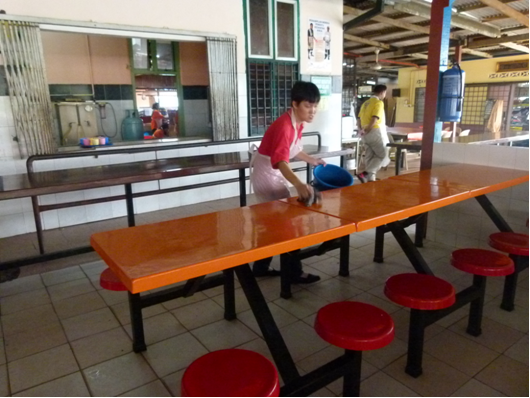 As canteen helpers, their job tasks are not very different compared to what they have been doing at the Chedang Café. They start work at 8am, finish at 5pm. 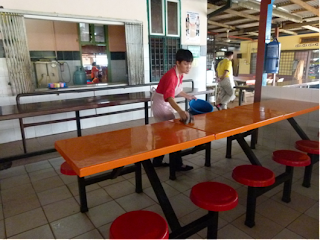 They are required to sweep and mop, wipe tables, and wash cups and plates to serve a few hundred primary and secondary students. All three trainees are adjusting well to their new work environment. Their favorite part of the job? Meeting and befriending new co-workers and young customers that they serve! They have already made a number of friends. All three trainees have been coping well, and have been enjoying themselves at the same time.